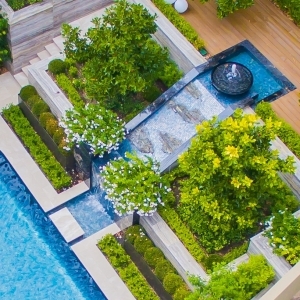 With its unique design, infinity edge, water features, and palette of materials that perfectly complements the property, this project flawlessly fits the client’s brief for a pool with high aesthetic appeal. 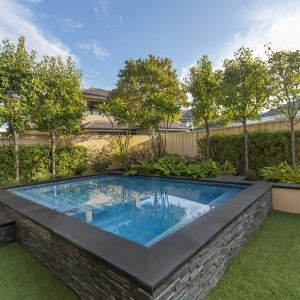 Working closely with the house architect (Iliadis & Associates) and landscape designer (Mondo Landscapes), we were able to construct a pool that would not only be aesthetically stunning, but functional for the client and their family. An out of ground concrete pool with an extensive moat was employed to alleviate the need for extensive fencing creating a visual impact from multiple areas within the property whilst still integrating seamlessly with their contemporary style. To mirror the property’s colour palate, a white mosaic tile mix adds a beautiful luminescent quality particularly on the unique radius of the infinity edge and the spa spillway. Notably, the large river stones in the pool trough offer a tranquil and characteristic trait. A feature tiled wall was constructed with three custom water features installed to create a stunning facet to the overall design. This pool spa combination is a showpiece within spectacular surroundings; the epitome of class, elegance and luxury pool design. As the garden focal point; the central water feature starts atop the highest retained level of this sloping block. Spouting from an oriental styled shallow bowl, the water flows down the slope atop a stunning mix of glass mosaics and interspersed feature rock work. The rock work interrupts the deluge creating a spectacular cascade effect. Book-leaf marble frames the central spillway. Atop each pillar shallow bowl planters soften the overall theme with flora. The catchment blends into the main pool with mosaic tile finishes to match. This elaborate and unique water feature compliments the pool and its surroundings. 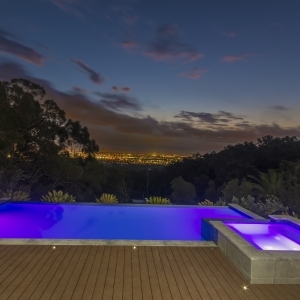 This pool and spa combination is a key feature of this luxurious home. Having fully renovated an existing shell to a high standard; we met the owners brief to really take advantage of the stunning city views this location enjoys. Remedial works included removing existing waterline tiling, coping, stepping stones, existing pool surround paving and plaster finish. The eastern pool wall was re-profiled to align with the house wall and the dated stepping stone features between the pool and spa was removed and a contemporary spillway incorporated. 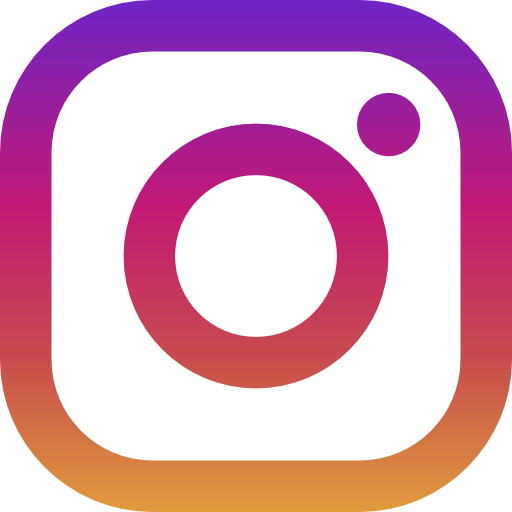 A Wi-Fi enabled Connect 10 system means that the pool settings and features, such as heat control, lighting are entirely automated and programmable through a mobile tablet or smart phone, making maintenance and operation a breeze. 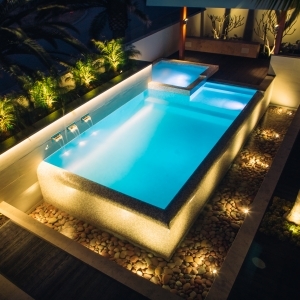 New LED lighting and drop edge travertine coping amplify the sophistication of the pool area. Both the spa and the pool’s interior features a combination of rainbow quartz and mosaic waterline tiles; continuing the luxurious and contemporary colour palette used throughout the residence, creating a seamless integration from indoor to outdoor. We were engaged by discerning client State Swim to construct their newest learn to swim pool in Brighton. The new centre was designed to accommodate not only young children in learn to swim programs, but for those wishing to improve their swimming ability for competitive swimming. To ensure that the pool met the high standard of the other State Swim facilities, we worked closely with the client to deliver this quality project on time and within budget. 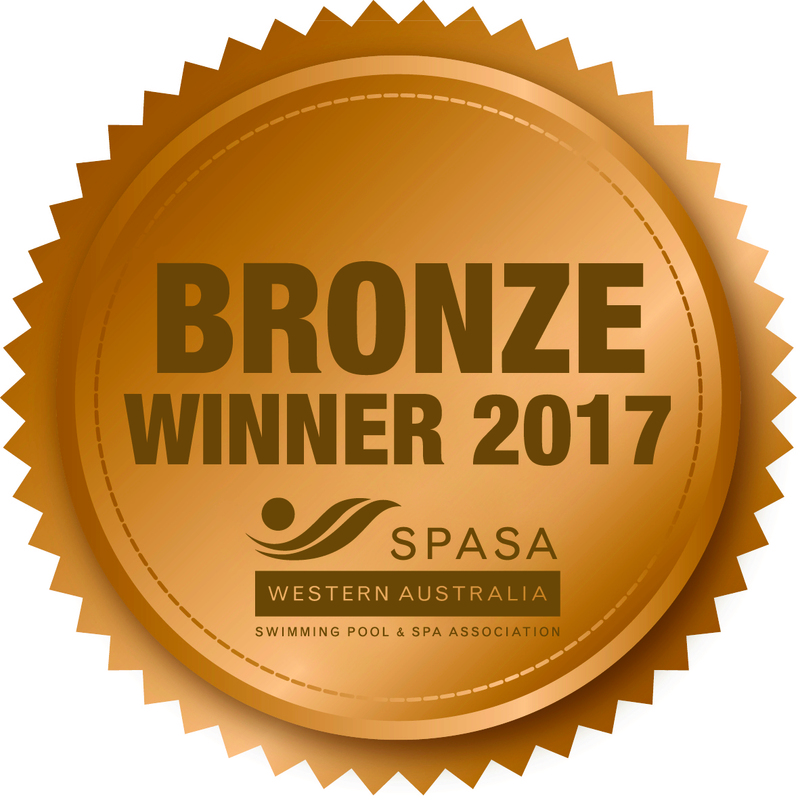 The fully tiled pool takes inspiration from the colour scheme of the centre, using a selection of brightly coloured tiles for the waterline in the traditional State Swim colour system. Extensive lane ropes and anchor points are installed to zone the pool for various swim school programmes. Since opening, the pool has witnessed the enjoyment of many children and adults who use the pool daily to initiate, learn and improve on their swimming ability. 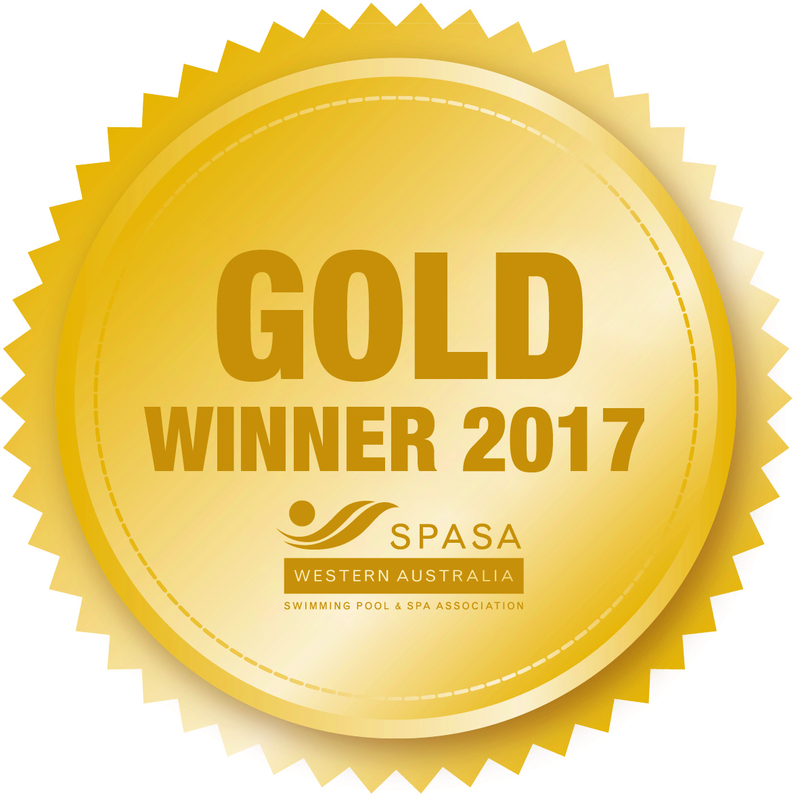 Aquatic Developments Australia were delighted to be awarded the project to renovate the existing Hydrotherapy Pool at St John Of God Health Campus – Mount Lawley. Remedial works included the replacement of all existing tiles to the hydrotherapy pool, floor tiles to the surrounding pool concourse and floor and wall tiling to all amenities. This highly specified pool required extensive planning and management to ensure the fully tiled pool met not only the health and safety regulations, but also the fact that we were conducting works within an functioning hospital environment. Designed for rehabilitation and water based recovery we installed a high performance Remco twin turbine swim jet system and an Aquatic Lift system to permit access for patients with impaired mobility. 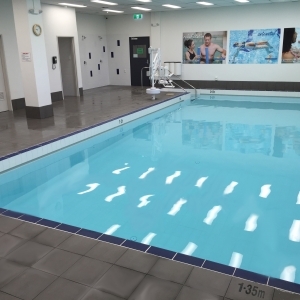 As part of the newly completed multi-million dollar St John of God Midland Health Campus, we were engaged by principal contractor Brookfield Multiplex to construct the hydrotherapy pool. 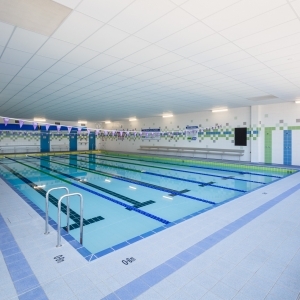 This highly specified pool required extensive planning and management to ensure the fully tiled 4m x 8m pool met not only the health and safety regulations, but also mirrored the high quality finishes that are seen throughout the hospital. Designed for rehabilitation and water based therapy, the hydrotherapy pool uses a heat exchange system ensuring constant water temperature for patients. 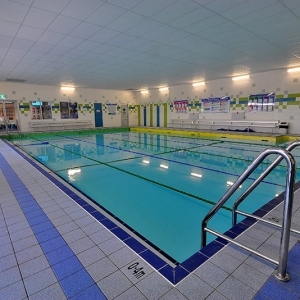 The pool has been designed for people with restricted mobility in mind. 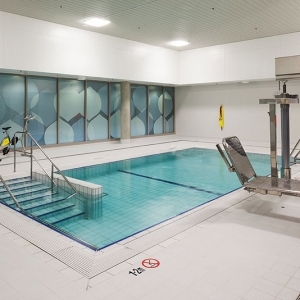 The depth ranging from 1.2m to 1.5m means that patients are able to walk through the pool with varied resistance whilst extensive stainless steel handrails to all pool walls and step entry allows for independent access. An AKRAS hoist system was installed to permit access for patients with impaired mobility. 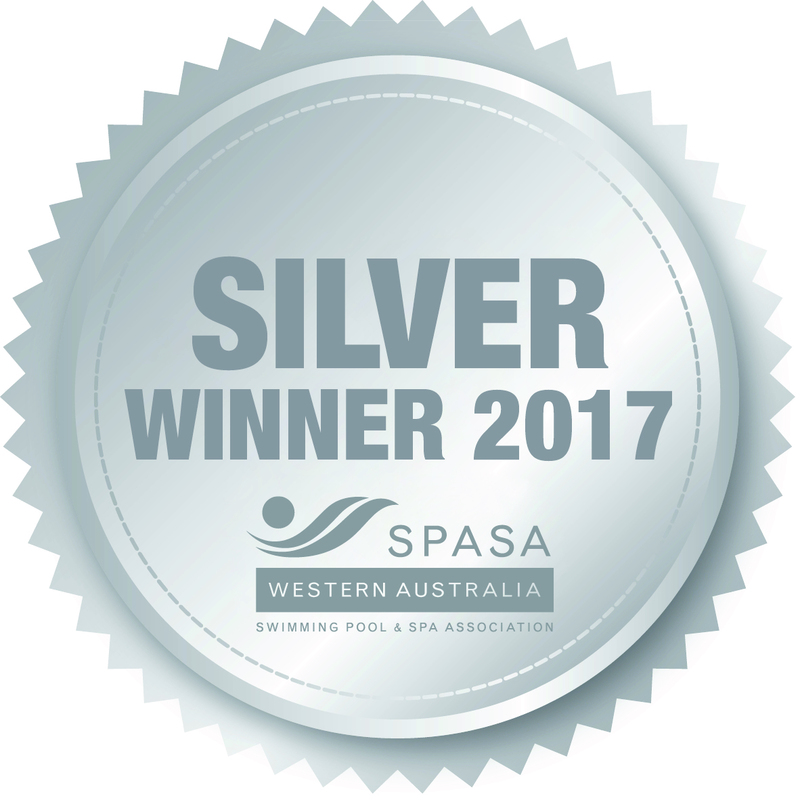 We were engaged by discerning client State Swim to construct their newest learn to swim pool in Kwinana. To ensure that the pool met the high standard of the other State Swim facilities, we worked closely with the client to deliver this quality project on time and within budget. The fully tiled pool takes inspiration from the colour scheme of the centre, using a selection of brightly coloured tiles for the waterline in the traditional State Swim colour system. Extensive lane ropes and anchor points are installed to zone the pool for various swim school programmes. A 200mm deep ledge was constructed to the length of the pool for use during toddler and baby swim classes. Since opening, the pool has witnessed the enjoyment of many children and adults who use the pool daily to initiate, learn and improve on their swimming ability. 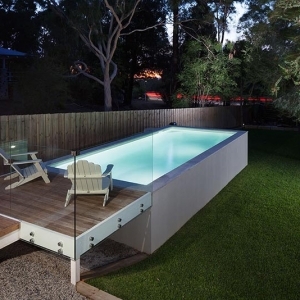 This pool perfectly reflects the design and flow of our clients existing home. An out of ground concrete pool was designed and constructed to alleviate the need for extensive fencing and to create a visual impact. A boardwalk was constructed to extend the existing decking to the pool zone. This provides space for the client to sit and relax on an inviting sun deck overlooking their stunning pool. To mirror the property’s colour palate, a white mosaic for the waterline & empire blue granite headers were installed. 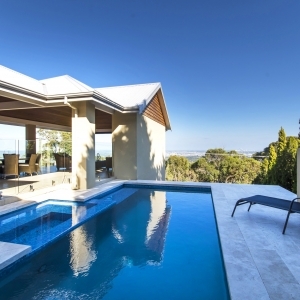 These enhance the sandy beach quartz plaster interior, the pool exterior walls were waterproofed, rendered and texture coated to integrate the pool palette with the existing residence home.